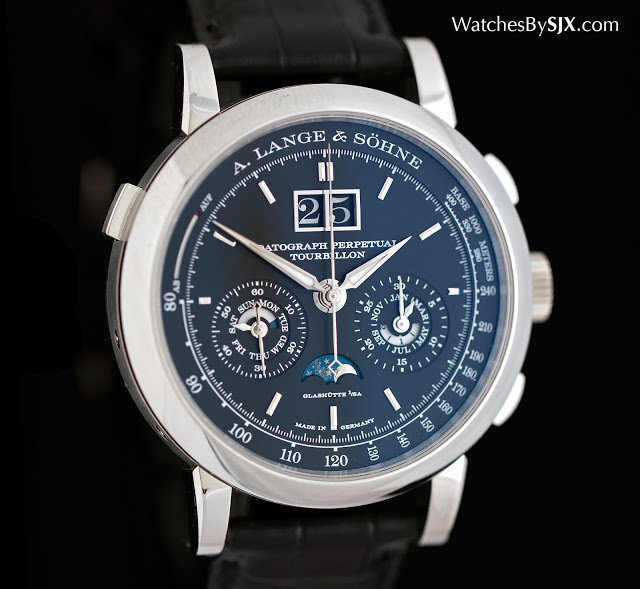 A. Lange & Söhne put on a good show at SIHH 2016, with a small but well segmented line-up that included the outstanding Richard Lange Jumping Seconds. 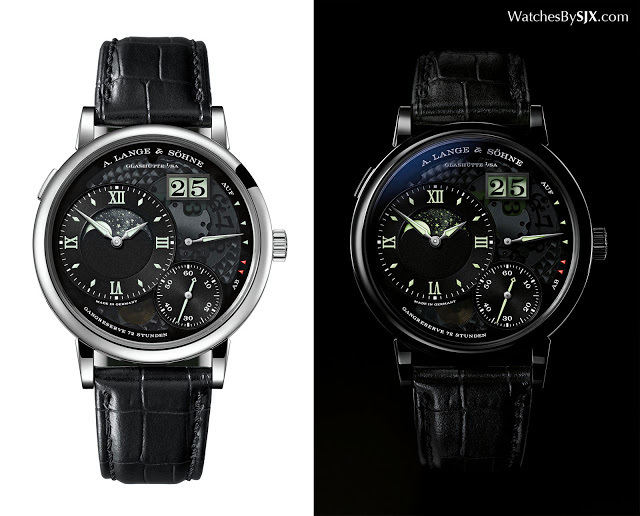 Here's a personal take on the offerings from Lange, including original photos and prices. 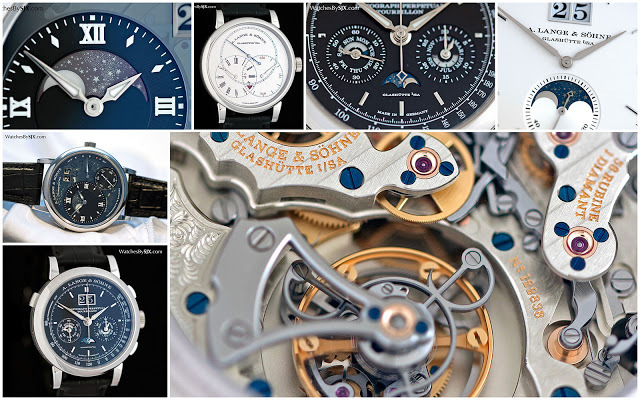 A. Lange & Söhne‘s line-up at SIHH 2016 stuck was business as usual: at the top of the collection a vastly expensive, highly complicated watch (the Datograph Perpetual Tourbillon), followed by timepieces that are progressively more affordable. At the affordable end the Saxonia Moon Phase is a likeable watch, but the real star of the range is the Richard Lange Jumping Seconds. 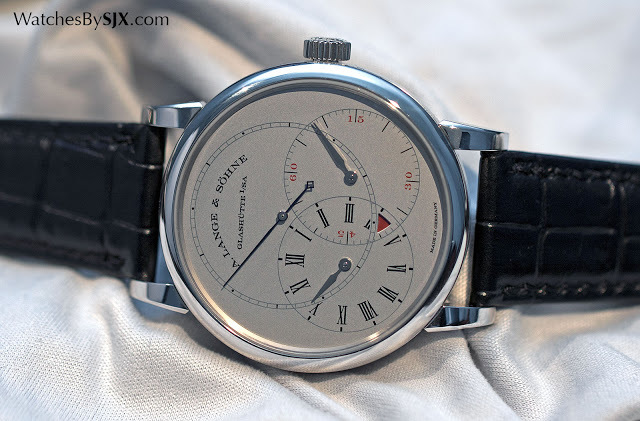 The Richard Lange Jumping Seconds is a watch that makes sense, intellectually and visually. 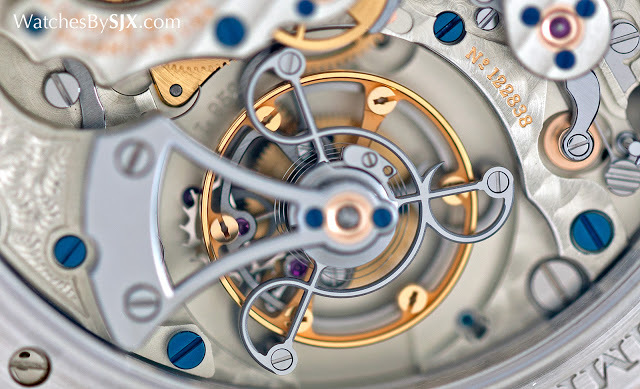 Unlike many other deadbeat seconds watches that do it just for the sake of a ticking seconds hand – requiring additional gearing that likely mean greater inefficiency – the jumping seconds in this watch is a consequence of the constant force mechanism. It’s the one-second constant force device, hence the one-second jump of the seconds. Not only does the second hand jump, it also resets to 12 o’clock when the crown is pulled. This helps in setting the time precisely; once complete, the seconds hand resumes its motion when the crown is pushed back in. 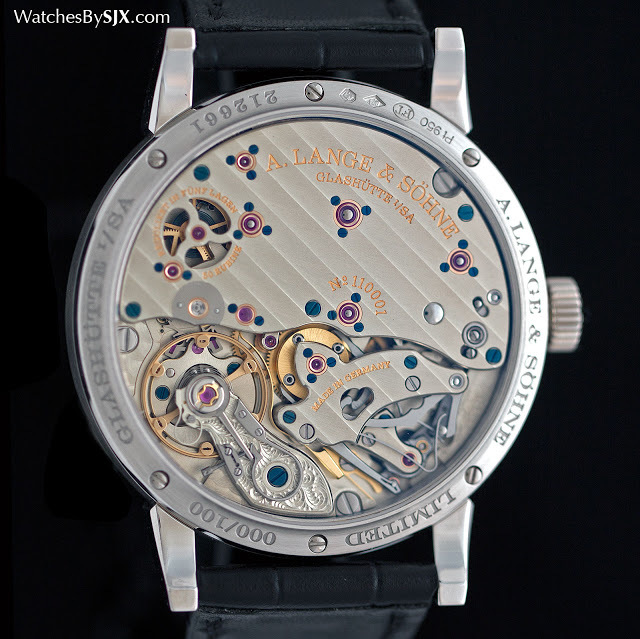 Unlike the other Lange watches with a similar regulator-style dial that are large and busy looking (like the Terraluna), the Richard Lange Jumping Seconds is a sensible 39.9 mm in diameter. Though the dial is styled like that on the Richard Lange tourbillon, with three overlapping sub-dials inspired by a vintage pocket watch, here the seconds is at 12 o’clock, occupying the largest area, which also makes sense since the jumping seconds hand is unusual. 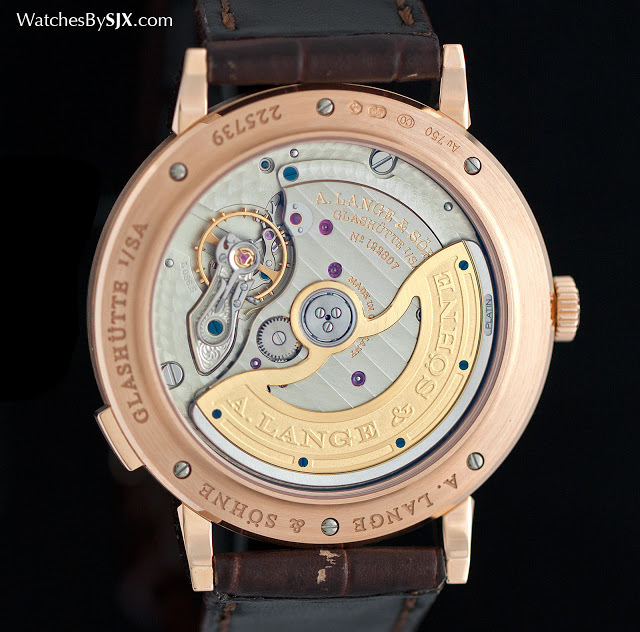 From the back the movement is attractively decorated, though not the most beautiful Lange movement. The movement is covered by a half-plate, with the mechanism for the zero-reset seconds occupying much of the remaining space. 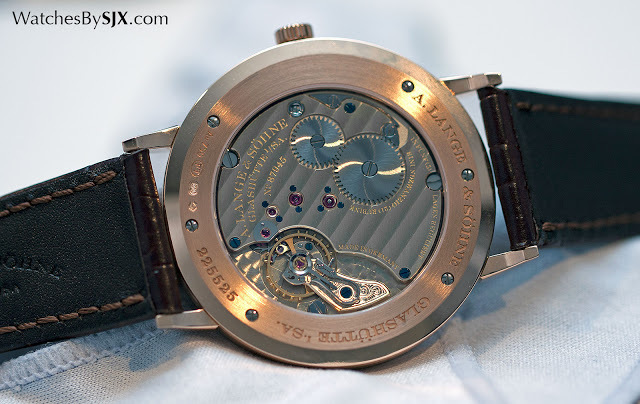 Though the finishing is excellent – the bridge for the zero-reset is vaguely Y-shaped with a complex outline that needs extra work – the zero-reset bridge and the levers below look slightly untidy, unusually for a Lange movement. 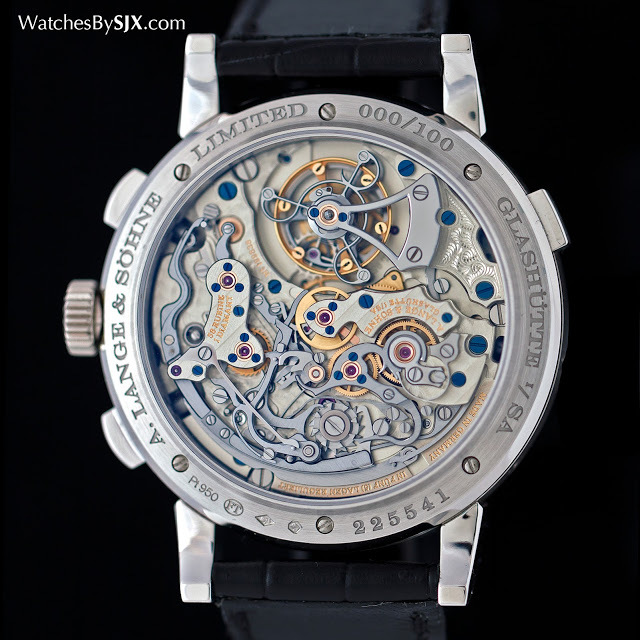 But with a price of €65,500 excluding taxes, the Richard Lange Jumping Seconds is well priced as such things go. It would be an extremely compelling proposition if it were a one-off, but given precedent it will most likely be available in pink gold and perhaps even a Handwerkskunst edition in time to come. 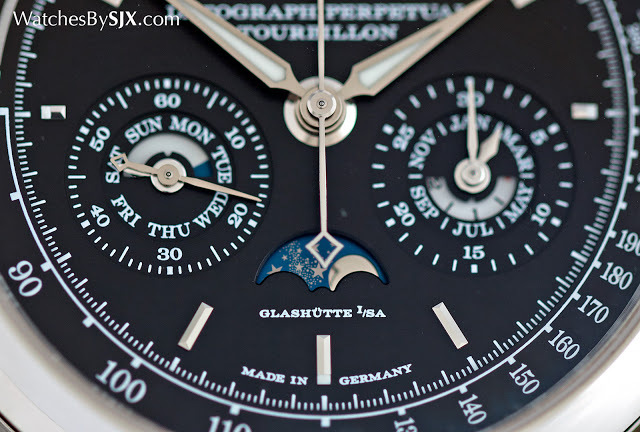 At €248,000 before taxes, the Datograph Perpetual Tourbillon is less accessible. That is no surprise, since it’s the flagship complication for 2016, combining Lange’s signature chronograph movement with a perpetual calendar as well as tourbillon. Rather than being contemporary and innovative, the Datograph Perpetual Tourbillon is old fashioned watchmaking that squeezes several complications into one large platinum watch case. Similar in style to the Datograph Perpetual, in fact, it shares the same 41.5 mm case diameter, the Datograph Perpetual Tourbillon also features a discreet power reserve indicator between nine and ten o’clock in the form of a narrow window. From the back the view is more compelling, with the typically beautiful chronograph mechanism occupy three-quarters of the movement, and a large tourbillon the rest. 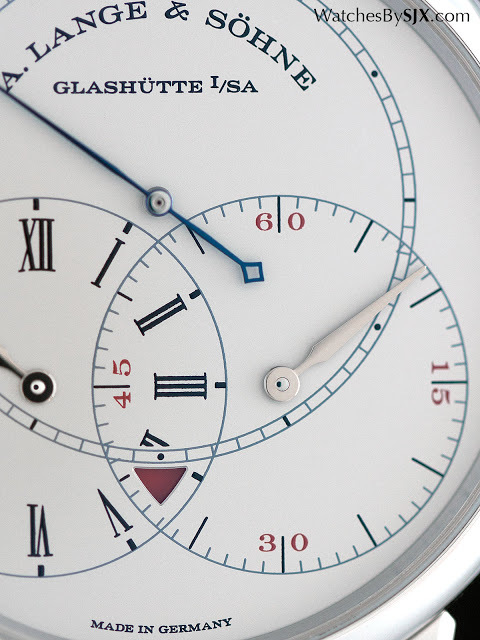 Though the movement is very similar to that in the Datograph, it is not exactly the same. 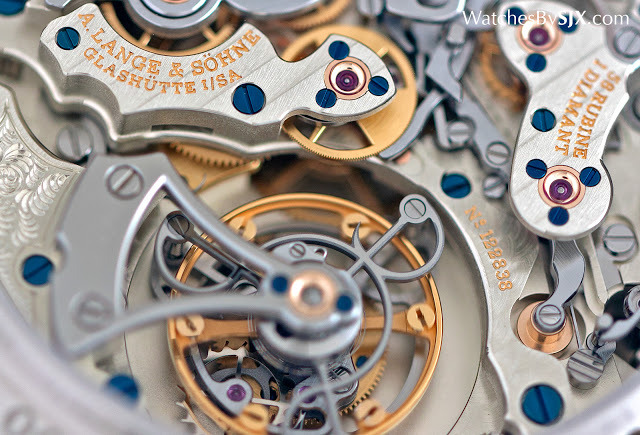 Significant changes were necessary to include the tourbillon, though the beauty of the chronograph mechanism remains. Another of the top-of-the-line additions for 2016 is the Grand Lange 1 Moon Phase “Lumen”, a cousin of the first “Lumen” from 2013. 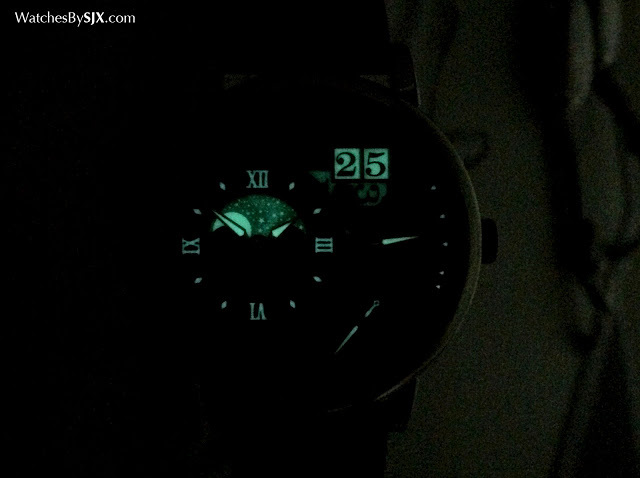 Its key feature remains the same: a tinted sapphire dial that reveals the mechanism below, with Super-Luminova components that glow brightly though the dial at night. The new Lumen, however, has something extra in the form of a glass moon phase disc depicting the stars and Moon cut out by laser. These celestial bodies glow from below in the dark, as beneath the moon disc sits another disc covered in luminous material. This is a limited edition of 200 pieces in platinum (the case is 40.9 mm in diameter), and it is more instinctively appealing than the first Lumen. After all, the Moon and stars make more sense given the luminous theme. And at €58,500 tax-free, it costs only marginally more than the earlier edition. But owners of the first Lumen can’t be very happy as this makes the first edition decidedly less interesting. 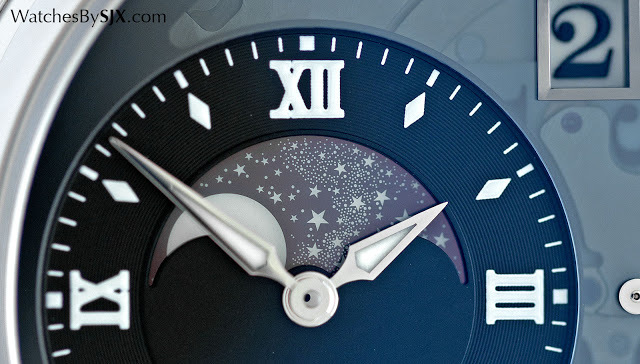 Similarly outfitted with a moon phase is the more affordable Saxonia Moon Phase. 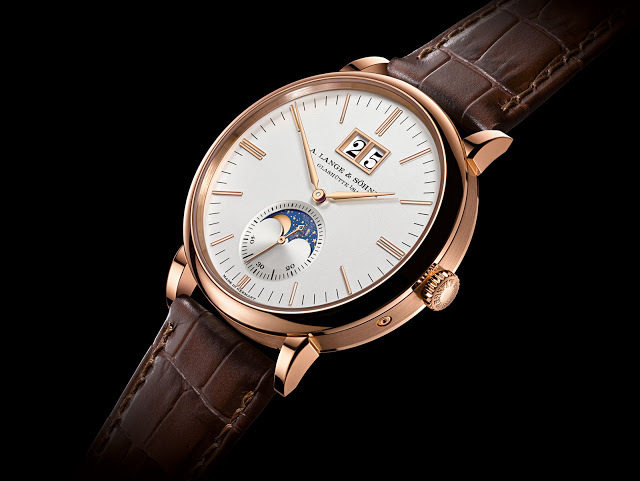 Beyond its accessible price of €24,000, the Saxonia Moon Phase is a pleasant looking watch. The dial is satisfying symmetrical and clean, with the moon phase display adding a touch of colour and romance to the functional dial. 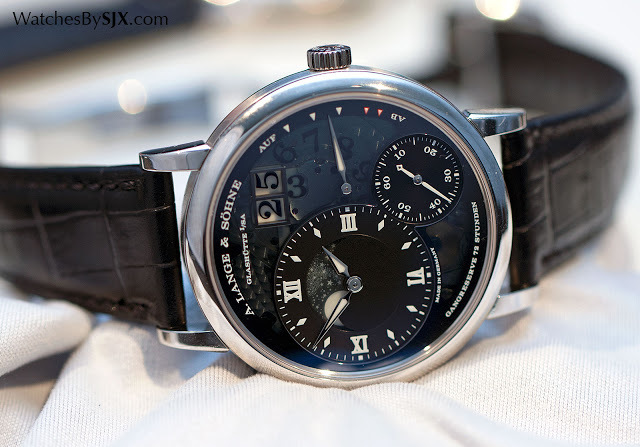 But from an intellectual point of view it does not make as much sense as the Richard Lange Jumping Seconds for example, since the date and moon phase are a somewhat odd pairing. 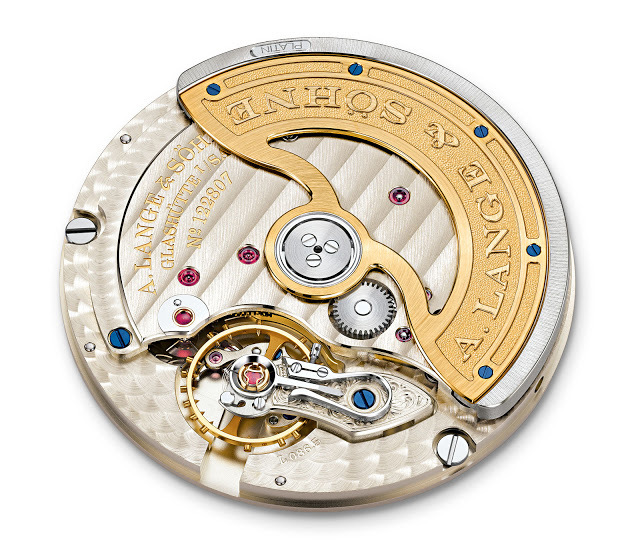 The movement inside is Lange’s entry-level self-winding movement. 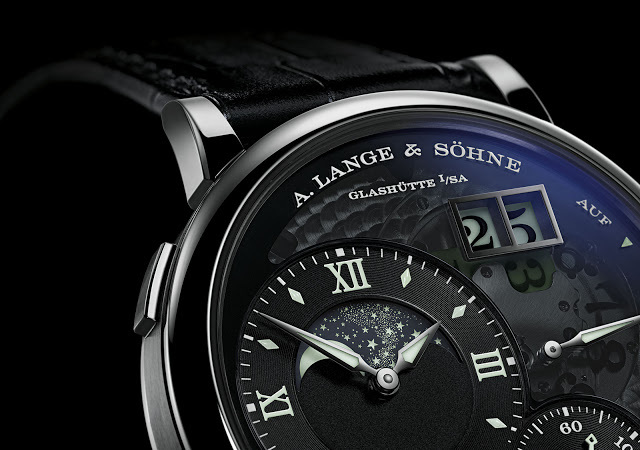 Though it is finishing to the usual and attractive Lange standards, it is visibly less elaborate than the automatic calibre found in more expensive Lange watches (as in the Langematik Perpetual for instance). For example, the movement lacks jewels mounted in screwed chatons, which are functionally immaterial but an appealing detail. And it is also relatively small; notice the distance between the bridges and edge of the base plate. 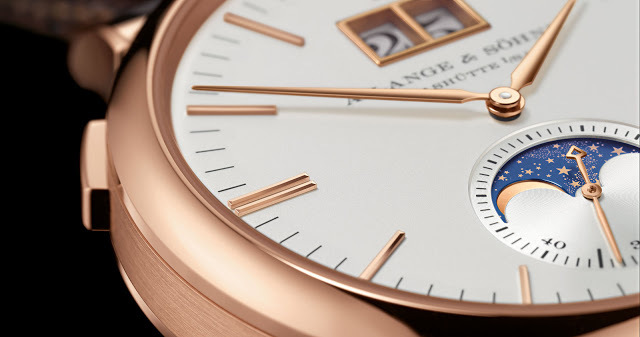 Last is the face-lifted Saxonia Thin, the slimmest watch Lange makes. Already uncharacteristically slim and plain, the new Saxonia Thin has been simplified even further, with only elongated baton hour markers, doing away with the five minute dots found on the first generation. Dial aside, it’s exactly the same as the earlier version, and is priced at €17,500. 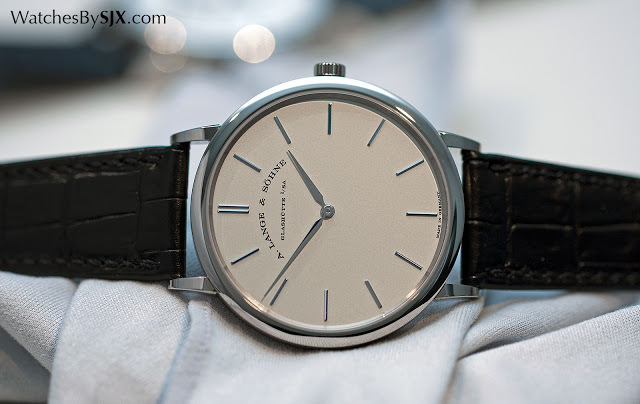 Though that’s affordable by Lange standards, ultra-thin watches have never been a Lange specialty, and, despite the face-lift, the Saxonia Thin still feels like something that’s not inherently Lange. 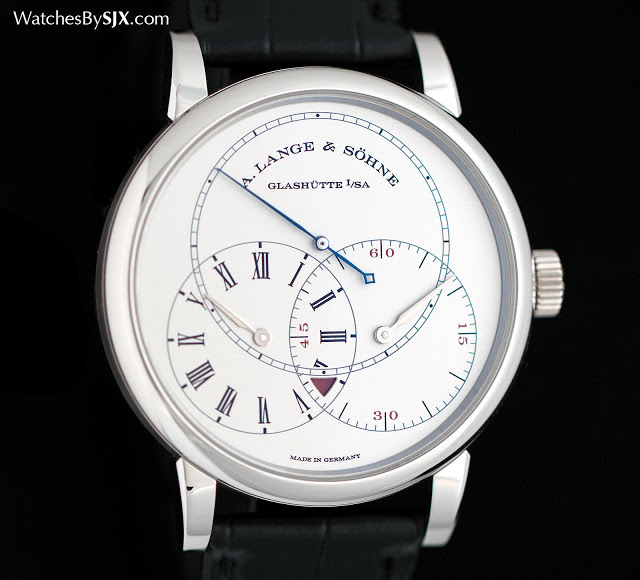 The lowest priced Lange wristwatch, the hand-wound Saxonia, feels more like a Lange, being smaller but more dense. With a retracting fountain pen as well as a wristwatch designed with a builder of private jets, Richard Mille garnered a lot of attention at SIHH this year. Here's all you need to know about its line-up complete with original photography and prices.